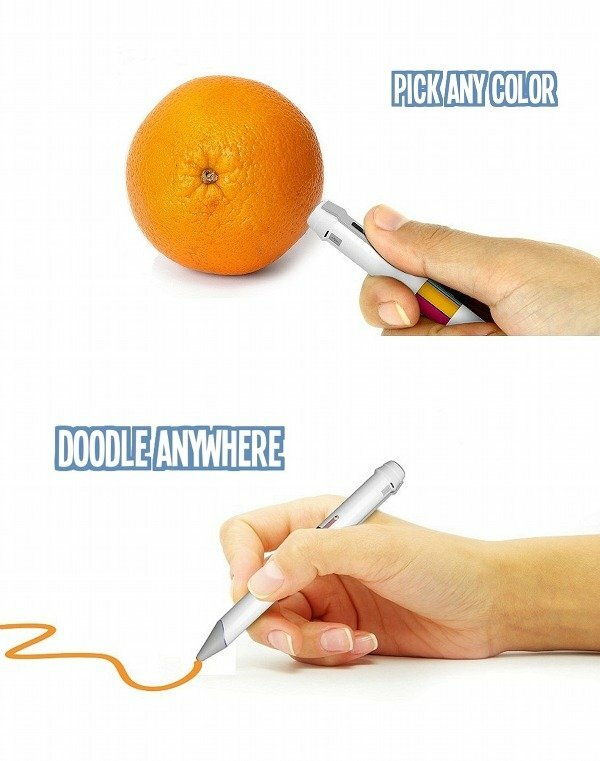 Scribble pen is an innovative pen with almost no limit in the color. It is the first coloring device that lets you draw in 16 million different colors. With scribble, you can take the world of color around you and transfer it directly to either paper or your favorite mobile device. The two different scribbles pens – Scribble Ink and Scribble Stylus pairs with Scribble+ mobile app to instantly sync every color that you can scan directly onto your Android or iPhone devices. The scribble ink is an ink cartridge that lets you draw on paper with the color that you have captured. The Scribble Stylus allows you to splash color around on your mobile devices screen but make sure you have Scribble app installed. These both versions of scribble pen use Bluetooth technology and Micro-USB cables in order to communicate with computer. It measures only about 6.3 inches and if you wonder how it works then the answer is very simple. 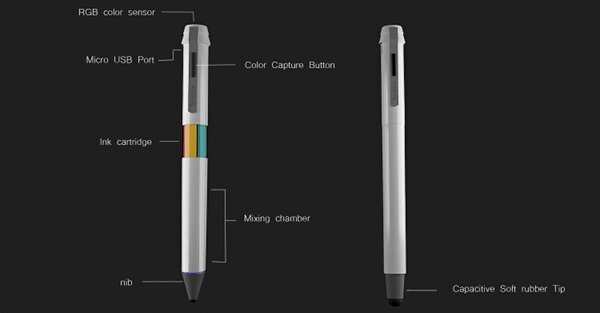 The pen actually scans a color from any object and can transform the ink to match the same color. Sounds amazing right? So definitely the scribble pen is a wonder piece to try.